Here’s a recipe that will satisfy your sweet tooth without packing on the pounds. These ice cream sandwiches are low in calories and fat in addition to tasting delicious! YUM! 2. Place the banana slices in a food processor or powerful blender. Puree banana slices, scraping down the bowl as needed. Puree until the mixture is creamy and smooth. Add the peanut butter and puree to combine. If you prefer harder ice cream, place in the freezer for a few hours and then serve. 3. 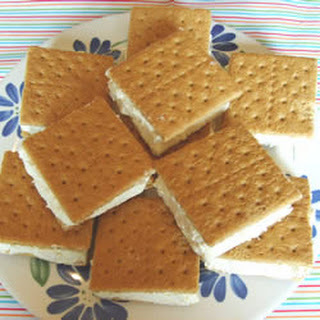 Place 12 graham cracker squares on a back sheet lined with wax paper. Use the fork to smear the banana and peanut butter ice cream onto the crackers. Top each with a graham cracker to make 12 sandwiches. 4. Stack them so you have a row of four. Serve immediately or cover them with another sheet of wax paper them in the freezer to be enjoyed later. Ginger root has long been known to be very effective against many illnesses and diseases. Ginger root is a natural herb, or spice and can be safely consumed without any side-effects. Ginger is a culinary spice known to add its pungent taste and aroma to whatever dish it is added to. It has a long history as a culinary spice and medicinal herb for thousands of years in Asia, and has been exported to the West thanks to Eastern traders. Since then it has become a staple in most kitchens around the world. There are many known health benefits of ginger root and other plant foods, but because they are safe for frequent use in reasonable amounts, The medicinal properties of ginger are huge. Here’s a list Health Benefits of Ginger that you will find interesting. 1. Ovarian Cancer Treatment: According to the study of Michigan Comprehensive Cancer Center that Ginger powder induces cell death in all ovarian cancer cells to which it was applied. It will be a powerful weapon for treating ovarian cancer. 2. Colon Cancer Prevention: According to the research done at university of Minnesota that Ginger slows down the growth of colorectal cancer cells. 3. Control Diabetes: Ginger lowers the blood sugar levels. Drinking one glass of water mixed with one table spoon of ginger juice in the morning helps to regulate the sugar level. 4. Morning Sickness: A review of several studies has concluded that Ginger just works like vitamin B6 in the treatment of morning sickness. 5. Migraine Relief: Ginger has the ability to stop prostaglandins from causing pain and inflammation in blood vessels which helps us to get relief from Migraine. Make ginger paste by adding ginger powder in the water and apply on the forehead. 6.Prevents Cold and Flu: Ginger has been used as a natural treatment for cold and flu, It boosts the immune system of our body by inducing sweating. When you are suffering from cold and flu, you must consume ginger several times a day. 7.Menstrual Cramp Relief: Ginger is a natural pain killer which can be used to reduce menstrual pain. When you are suffering from menstrual cramps, you must drink ginger tea with brown sugar. 8. Heartburn Relief: Ginger promotes healthy heart, It lowers cholesterol and helps blood from clotting. Ginger can be used as a natural heart burn remedy. Try to drink ginger tea several times in a day to get instant relief. 9. Reduces Pain and Inflammation: Ginger has anti-inflammatory properties and works as a powerful natural painkiller. 10. Settles Upset Stomach: Ginger calm down an upset stomach because of its carminative properties. It boosts the immune system of our body. Experts are recommended that eat ginger after a large meal to improve digestion. 11. Ginger for sinus problems: Brew a warm ginger spiced tea and sip slowly for a soothing effect or use a ginger tea compress by dipping and squeezing the towel in ginger infused warm water and applying it to the face to aid with the swelling and pain. Low blood sugar or hypoglycemia is a disorder of blood sugar metabolism. Hypoglycemia is the medical term for the condition in which blood glucose or blood sugar levels are lower than normal levels. Glucose, which is one of the main sources of energy for the human body is mainly derived from carbohydrate rich foods. Foods like potatoes, rice, various fruits, different cereals, and dairy products along with sweets are also considered carbohydrates. When the blood sugar level falls below normal symptoms such as nervousness, irritability, fatigue, depression, disturbed vision, and headaches appear. Other symptoms are sweating, trembling, numbness, absent-mindedness, dizziness, palpitations of the heart, and some sexual disturbances. Most hypoglycemia patients feel hungry and eat frequently to get over the feeling of weakness and emotional irritability. They feel tense if they have to go without food for several hours. Low blood sugar (which is also known as Hypoglycemia) is usually caused by an excessive intake of refined carbohydrates and sugary foods. Hypoglycemia is a condition characterized by abnormally low blood glucose (blood sugar) levels, usually less than 70 mg/dl. However, it is important to talk to your health care provider about your individual blood glucose targets, and what level is too low for you. 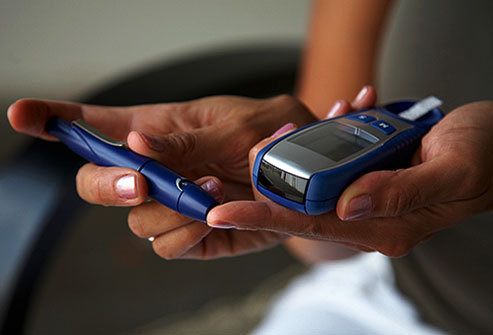 Hypoglycemia may also be referred to as an insulin reaction, or insulin shock. Apples are considered valuable in low blood sugar. Two small apples with their peels should be eaten after each meal for treating this condition. The use of molasses has been found very useful in low blood sugar. When blood sugar becomes abnormally low as a result of over exertion or under-nutrition, a glass of homemade lemonade made of molasses will serve as a tonic and prevent the feeling of faintness. It also serves the same purpose in the body as glucose. The ideal diet for low blood sugar should be based on three basic food groups, namely, grains, seeds and nuts, vegetables and fruits. Seeds, nuts and grains should be the main part of the diet. Seeds and nuts should be taken in their raw form. Grains in the form of cereals, should be cooked. Cooked grains are digested slowly and release sugar into the blood gradually ( six to eight hours after meals). This will keep the blood sugar level normal and constant for a long period. People suffering from a low blood sugar should eat six to eight meals a day instead of two or three large ones. Eating raw nuts and seeds such as pumpkin or sunflower seeds, or fruit juices between meals will be beneficial. All refined and processed foods, white sugar, white flour and all their by-products should be completely eliminated from the diet. 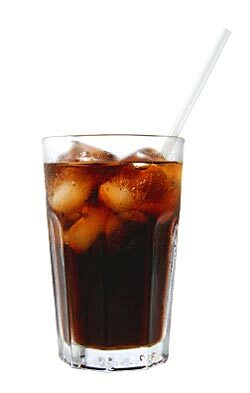 Coffee, alcohol, and soft drinks should also be avoided. The consumption of salt should be reduced as an excessive intake of salt causes loss of blood potassium, which causes blood sugar to drop. Proper rest is essential for those suffering from low blond sugar. A tranquil mind is of the utmost importance in this condition. Nervous strain and anxiety should be relieved by simple methods of meditation and relaxation. A prolonged bath at room temperature will also be helpful in relieving mental tension. Here’s weighty news: Americans’ expanding waistlines have caused some alarming beefing-up in places you wouldn’t expect. 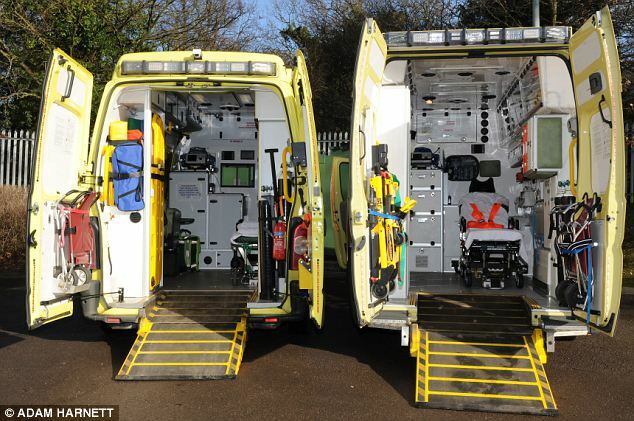 Ambulances: American Medical Response, the largest ambulance company in the United States, introduced bariatric ambulances in 2001. Their cots can accommodate up to 1,600 pounds, compared with older models that hold only up to 800 pounds. Caskets: A standard-size casket for adults used to be 24 inches wide, but 28-inch-wide models are becoming more common, according to the Casket & Funeral Supply Association of America (CFSA), a trade association for the funeral-supply industry, based in Lake Bluff, Illinois. One company, Goliath Casket, began making 29-inch caskets in the 1980s (the new models hold up to 1,000 pounds) but sold only about one per year. Now they ship half a dozen oversize models every month. Fuel Usage: Extra pounds cause cars, trucks, and planes to use more gasoline and jet fuel. Americans consume at least one billion more gallons of fuel today than they would if they weighed what they did on average in 1960. CT Scanners: Imaging companies such as Siemens and General Electric are building new equipment to accommodate Americans’ growing girths. Siemens’s CT scanner went from a 60-centimeter (23.6-inch) diameter in 1997 to an 80-centimeter (31.5-inch) diameter in 2011, a 25 percent increase. Santa Costumes: In 1996, santasuits.com’s largest offering was size 2X, and oversize suits accounted for just 12 percent of sales. Today, santasuits.com estimates that size 3X suits account for up to 20 percent of sales. What Hasn’t Changed but Needs to: Airline Seats Based on testing standards designed almost 50 years ago, airline seats are meant to restrain a 170-pound passenger, but today the average American man weighs 195 pounds, and the average woman, 165. These seats may not be as safe for heavy passengers during a crash. We know that sugary beverages pack a lot of calories into their sweet little containers (they’ve taken a lot of heat in the obesity debate). But now the results of a new study are showing that they may also trick our brains into thinking that we’re hungry! Actually, it’s the fructose in sugar-sweetened drinks that researchers say affect the brain region that regulates appetite. The researchers–who point out that the study does not show that fructose causes obesity–say that participants who drank a cherry-flavored drink with fructose in it experienced a spike in their hypothalamus. The participants who drank the same beverage made with glucose didn’t have the spike. The conclusion: high-fructose corn syrup and other forms of fructose might actually help lead us to overeat more than glucose does. (Plain table sugar contains both glucose and fructose.) Which means, say the experts, that it’s generally a good idea to cook your own food at home and limit processed foods and drinks that have fructose or high-fructose corn syrup. It doesn’t mean you can’t ever have them–just keep how often (and how much) you have them in check!